Riding in the Sukhumvit area of Bangkok is an experience I typically rate on a par with dried fish markets and cut rate tattoo parlors: the air quality is poor, and it is hazardous to my health. However, my friend Katy and I discovered on our Monday night bikesploring expedition that there is a way you can ride near Sukhumvit without actually needing to experience it. Katy and I actually found the bicycle path while running at Lumpini about a month ago. The funny thing is that I read about this track nearly a year and a half ago but never figured out where it was exactly, leading me to believe it was, like unicorns, mythical. Turns out it was, like unicorns, hiding in a really convenient location waiting to be discovered, and is accessed via the footbridge at the northeast corner of the park. Because it is away from big streets for the most part, it is a surprisingly serene, wide track that leads directly to another park with a cycle path, Benjakitti, and has the merit of being absolutely inaccessible to anything motorized. 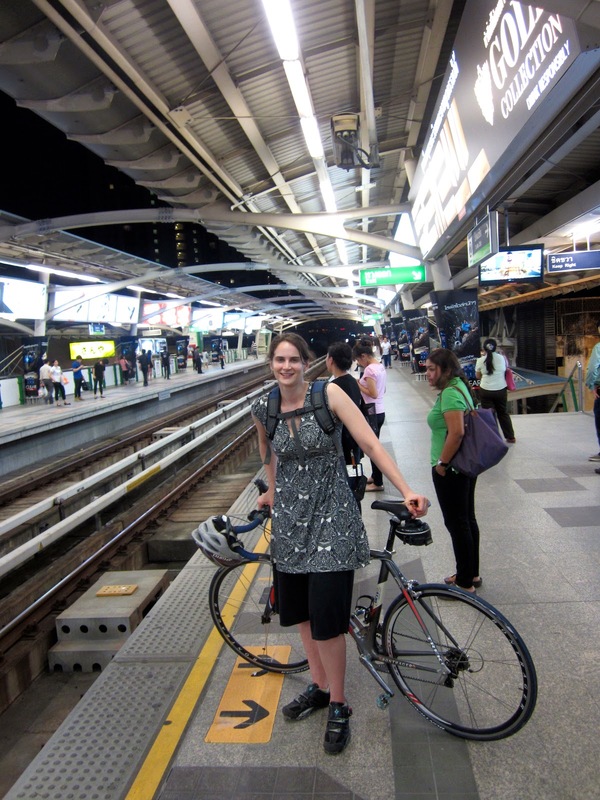 It is a little awkward because it changes levels often enough that one must dismount and walk the bike up and down stairs at least three times, but despite that, it is an ideal cycle or running commute for anyone living in Phrom Phong or Asok areas and working at any of the embassies or establishments on Witthayu or Ruam Rudee. I am jealous of those lucky bastards. Here's the route we took from my place in Ari to the path, and a little continued journey to Emporium, where we treated ourselves to gelato before taking the skytrain back. 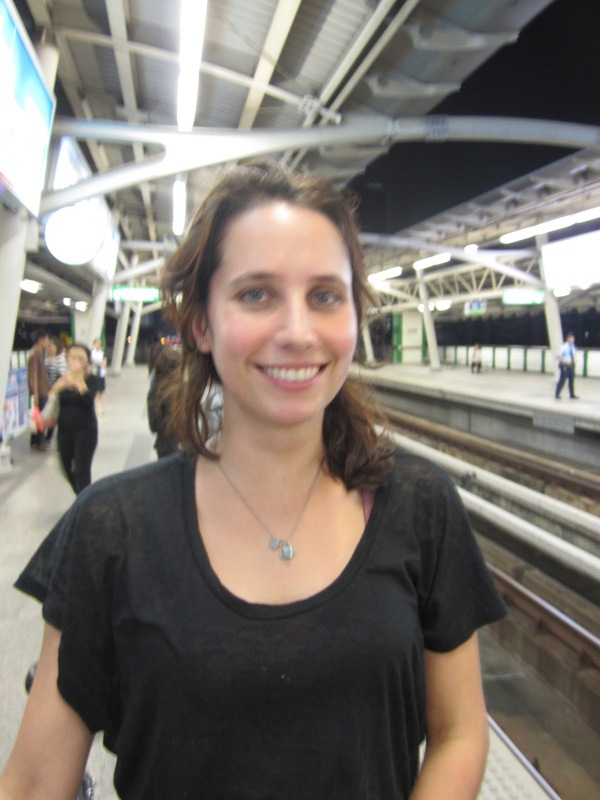 Starting from NE corner of Lumpini-Katy walks the Lotus up the stairs. Luckily, there are these ramps there for all the stairs on this route. Thanks so much for posting this! I've been cycling in Bangkok for a while now and had no idea this raised path existed. Can't wait to check it out!!! This is called "the Green Mile." I mean to try riding it when my bike is shipped in.